The Am Yisrael Foundation is seeking to bring Jewish life, education and culture back to the white city. On December 27th, the Am Yisrael Foundation and the North Central Synagogue of Tel Aviv will dedicate a brand new Sefer Torah in honor of the 72 soldiers killed during Operation Protective Edge in the summer of 2014. Participating in the celebration will be Chief Rabbi of Tel Aviv-Yafo,RabbiYisrael Meir Lau; MK Michael Oren (Kulanu); and Rabbi of the North Central Synagogue, Rabbi Shlomo Chayen. The Foundation has garnered support for the project from private donors as well as a crowdfunding campaign. Jay Shultz, President and Founder of the Am Yisrael Foundation spoke to Arutz Sheva about the event as well as the social and religious change his organization is trying to bring to Tel Aviv. “We are dedicating the new Sefer Torah at the North Central Synagogue, as it is the synagogue that is most active for the young Anglo-Immigrant community,” said Schultz. “This is the community where most young people go, and it is a real honor to host this Torah that was written in honor of the 72 heroes who were killed during Operation Protective Edge.” The Torah, is set to be used regularly by the young olim community in the city. “What we are trying to do in essence is to fill that gap,” he said. 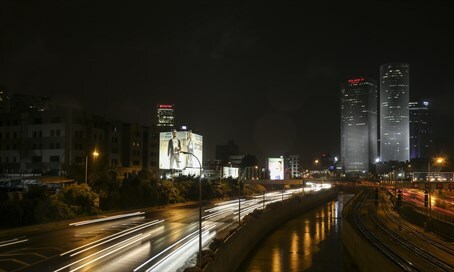 The Foundation is aiming to build a Jewish cultural and spiritual center in the middle of the city, with a focus on providing Jewish learning opportunities and creating Jewish cultural events for the burgeoning Jewish community that is residing in the city, and in the entire Gush Dan Region. The inauguration of the sefer torah is one of the first steps the Foundation is taking towards building the Tel Aviv Center for Jewish Life. “It is about bringing Jewish education and Jewish faith to the center of Tel Aviv,” Shultz said.